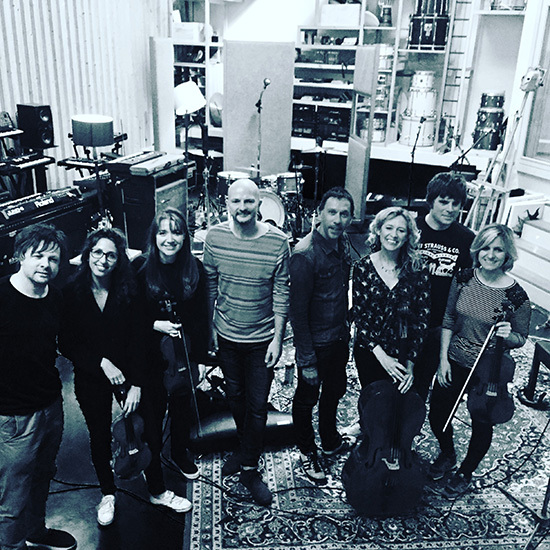 Rosie Danvers and Wired Strings were thrilled to work on the incredible SHED SEVEN album,’Instant Pleasure’, their first album for 16 years. Produced by Youth Martin, they recorded at The Pool Studios in London back in June. ‘This session was amazing! The band were all SO lovely, the songs were absolutely brilliant and it was such treat to be working with the ever inspiring Youth Martin.